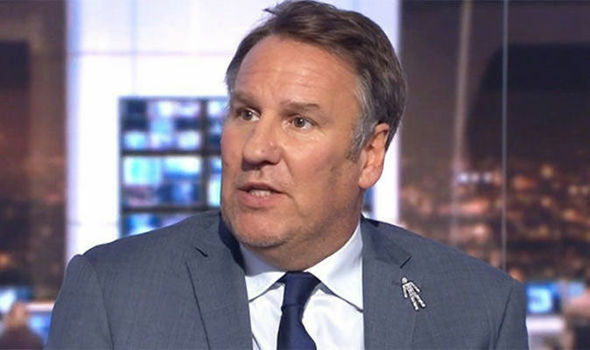 Arsenal legend Paul Merson has issued a public apology for his roasting of Unai Emery's team about two weeks ago. The football pundit during a programme on Sky Sports gave his former side no chances against the in-form Liverpool as he predicted an ugly loss which will see them concede a lot of goals. Arsenal were at that time holding an eleven straight win record in all competitions, a feat which Merson wasn't moved about because according to him, the Gunners were only being lucky since they have not met any tough opposition in the period in which they secured the streak. In the aftermath, the former Arsenal attacker was heavily criticized for this and as predicted by some fans, he has eaten his words after the results from the game was in no way close to his expectation. He did that through an apology on Twitter. Arsenal escaped with a 1-1 draw having trailed earlier through James Milner. They were shot back to level terms just eight minutes to time by a superb Alexandre Lacazette effort. That made it fourteen and nine games unbeaten for Arsenal in all competitions and the Premier League respectively.